Can you confirm these amateur observations of Calyptommatus sinebrachiatus? 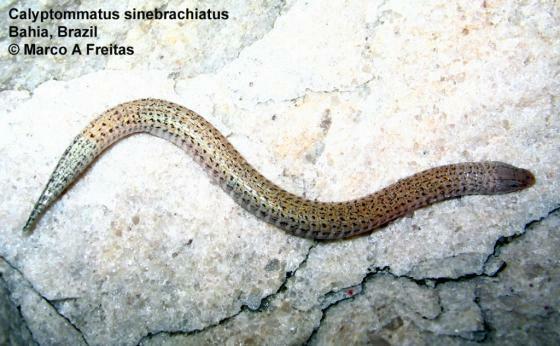 Comment Species of Calyptommatus (sinebrachiatus, leiolepis, and nicterus) show extreme reduction of hind limbs, absence of fore limbs, and absence of prefrontals, frontals, supraoculars and frontoparietals, and are thought to be related to the recently described genus Nothobachia. Type species: Calyptommatus sinebrachiatus RODRIGUES 1991 is the type species of the genus Calyptommatus RODRIGUES 1991.